This study examined the nitrogen cycling associated with agricultural production and environmental load in central Hokkaido. The nitrogen (N) budget analysis model offers a new set of tools for evaluating N cycling in agro-ecosystems. The cycling index (CI) is a useful tool for estimating optimal N flows in farmlands. The fertilization index (FI) is a useful indicator for characterizing the N flows related to farms. 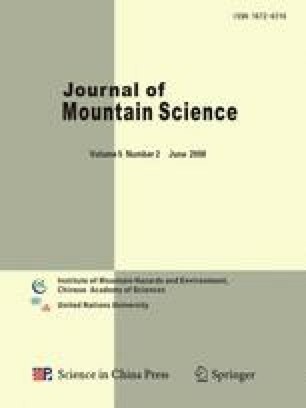 Using these parameters, we analyzed all farm systems to estimate the optimal N cycling for minimizing N pollution in groundwater and maximizing agricultural production in mountain regions of Japan. The results showed that the critical N application rate (chemical fertilizer + manure) was 143.3 kg N ha−1 y−1. The critical inter-system input (chemical fertilizer N, imported food and feed N, and natural supplied N) was 169.2 kg N ha−1y−1.